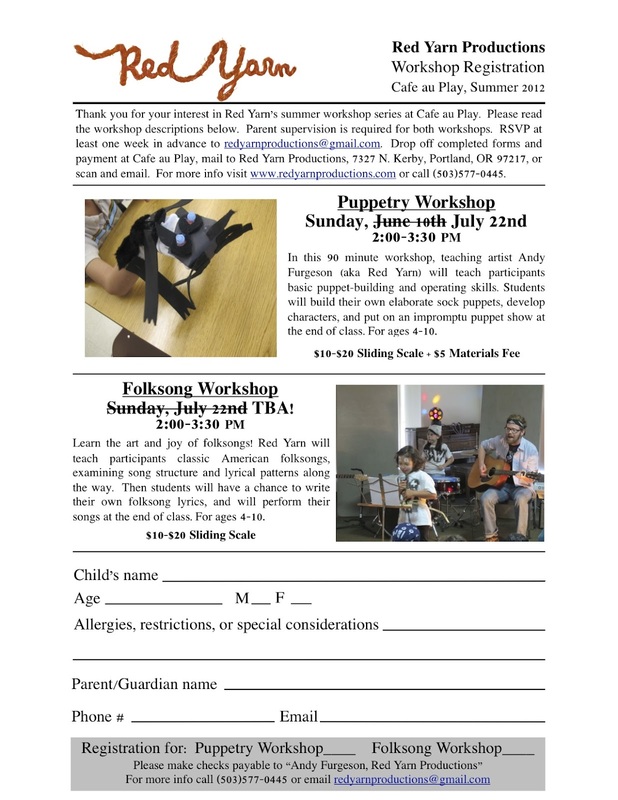 Just a quick note to say that the Puppetry Workshop originally scheduled for this Sunday, June 10th at Cafe au Play is rescheduled for Sunday, July 22nd at 2pm. If you are interested in signing your child up for the rescheduled workshop, please fill out and mail/email the registration form below. Thanks! 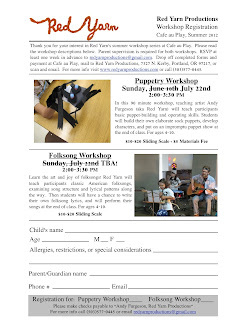 See the post below for more info on Red Yarn’s upcoming tour, summer camps, and performances.